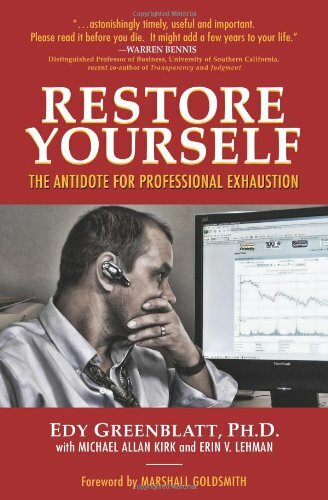 Dr. Edy is an entertaining and sought-after speaker most frequently energizing groups while sharing insights and tools on increasing resilience from her award winning book Restore Yourself: The Antidote for Professional Exhaustion. For reviews of these programs, please see Testimonials. For the most recent reviews and to see an overview of the Restore Yourself and Team Effectiveness key notes and stand alone workshops, please see her profile on LinkedIn. For more information on consulting, coaching and leadership training that integrate world-class research and best practice with to create lasting personal or organizational change, please see Blended Solutions, call us at +1.213.33.3914 or fill out the form below.